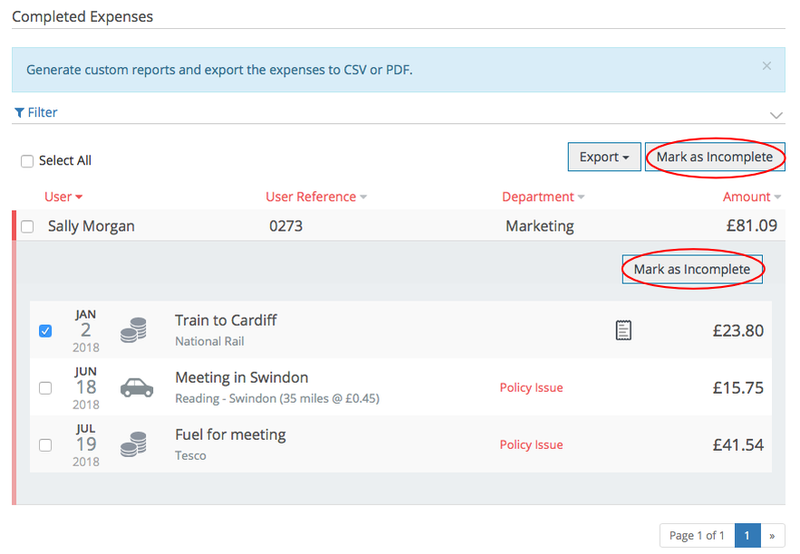 The completed area allows you to do historic reporting on your users' expenses. You can customise reports and download these to PDF or CSV. The completed area has lots of filters available that you can use to search for specific expenses. You should use the filters to refine your search criteria. 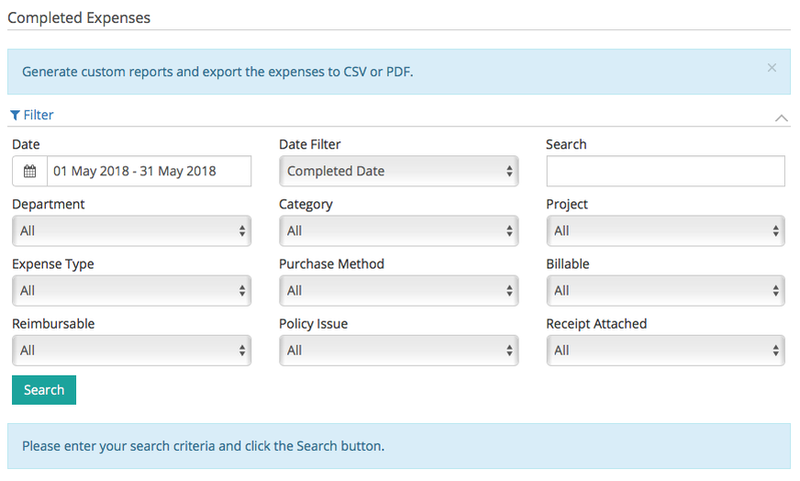 If there are expenses in the Completed area that you need to move back to the Approved area for further processing, you can select the expense(s) and click Mark as Incomplete. Please note: Marking expenses as incomplete may affect any reports that you have generated.